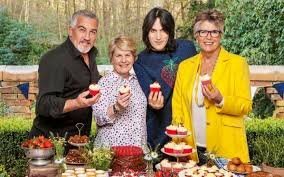 Jay Hunt, the creative head at Channel 4, has revealed the broadcaster needs the Great British Bake Off to attract at least 3 million viewers per episode to break even following its £75 million (€81m) acquisition of the show. Hunt, speaking at the Edinburgh International TV festival said she would be delighted if the programme attracted between 5 million and 7 million viewers when it airs for the first time on Channel 4 on August 29th. The broadcaster has resisted product placement deals in order to protect the integrity of the show, but it has signed sponsorship deals with Lyle’s Golden Syrup and Dr Oetker worth around £4 million. The 75 minute programme blocks will also include more than 15 minutes of commercial breaks. Last year’s final on BBC1 attracted a peak audience of 14.8 million, making it the most popular show of the year.